The report shows a number of significant growth areas in Arizona’s technology economy, including a year-over-year (YoY) net technology job gain of 5,127 and a YoY 174 percent increase in emerging technology job postings. 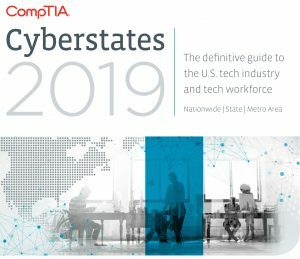 The report also states that Arizona’s median technology occupation wage is 94 percent higher than the median national wage and estimates the technology community directly contributes 10.5 percent of its output value ($31.3 billion) to the state’s total economy. Visit here to read more about key findings of the report. Hexagon’s mining division solves surface and underground challenges with proven technologies for planning, operations and safety. With the acquisition of Split Engineering, Hexagon now has unparalelled fragmentation analysis capabilities to expand its life-of-mine vision from pit to plant. “It closes the loop on drill and blast design by allowing sites to quantify the effectiveness of the blast, bridging the gap between planning and operations,” said Josh Weiss, president of Hexagon’s mining division. Read more about the acquisition. TGen received a $3.5 million federal grant from the National Institutes of Health (NIH) to study the cause of IPF, the nation’s most common and severe form of fibrotic lung disease. In addition, TGen received a $2.6 million federal grant from the Department of Defense (DOD) to study a variety of other genomic factors associated with non-IPF forms of pulmonary fibrosis (PF). Researchers plan to use single cell sequencing to generate a more comprehensive understanding of IPF at the genomic level. Read more about single-cell sequencing and how TGen is treating debilitating lung diseases. According to Cable ONE President and CEO Julie Laulis, this change reflects the company’s transformation from its origins as a traditional cable company to a full-service provider that seamlessly connects customers to the things they care about, including family, work, entertainment and community. The name Sparklight illustrates the speed and connectivity the company is known for, while at the same time symbolizing its new brand promise – connecting people to what matters. Read more about Cable ONE’s rebranding to Sparklight. CampusLogic has acquired a Scottsdale-based student organization crowdfunding platform that provides a way for students to raise money for their education. Funderbolt, formerly known as USeed, was acquired by CampusLogic April 1 for an undisclosed price. The Chandler-based student financial aid software company CampusLogic will rebrand Funderbolt’s software as “SponsoredScholar” to focus on providing fundraising options for students’ tuition and other educational expenses, said Gregg Scoresby, CEO and founder of CampusLogic. Read more about the software that enables direct funding for students’ needs. 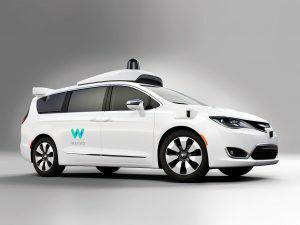 Despite the company’s cars having been on East Valley roads for several months, not many people have had the experience of riding in one of Waymo’s autonomous vehicles. Phoenix Business Journal Reporter Hayley Ringle was given an exclusive ride in a Waymo autonomous vehicle recently, going through the entire rider experience, from hailing the ride on an app to ending up at a destination to see how the service works. Read more about her experience. Bridgepoint Education Inc., an education technology services company, is moving its San Diego headquarters to Chandler and at the same time changing its name to Zovio Inc. Beginning this summer, Zovio will begin its 18- to 24-month transition to move its headquarters to a 130,000-square-foot building it will lease in Chandler. Learn more. 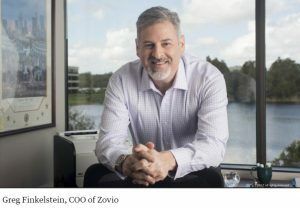 “We believe as part of this transition we’re making is to position us as a technology partner to corporations and to higher education institutions,” said Greg Finkelstein, COO of Zovio. For over 60 years, FISBA has been supplying advanced optical components and systems to customers around the globe. Now, the company has released its new website designed specifically with their US customers in mind. Explore the new site at www.fisba.us. Acronis announced its official launch as an independent American company dedicated to providing secure backup, data protection, and cyber protection services to the U.S. public sector. Acronis SCS brings to market a trusted suite of products that allow agencies to protect sensitive data while supporting legacy systems during the modernization journey. All Acronis SCS products are built and supported in the United States by U.S. citizens, and validated by US-based third-party agencies. Read more here. Biodesign Institute oceanographer Susanne Neuer’s current research, funded by a National Science Foundation grant, focuses on the tiniest of phytoplankton, particularly picocyanobacteria, which thrive in the nutrient-poor Sargasso Sea. Previously, scientists considered them too small to play a role in the biological carbon pump. But Neuer’s DNA analysis of the particles collected in her traps found that picoplankton overcome not only their size but lack of nutrients by sinking into the deep ocean. Her research team also discovered that some species produce a slimy substance called transparent exopolymeric particles, which creates aggregates heavy enough to sink. Read more about Neuer’s research on marine phytoplankton. Researchers have made strides in closing the gender gap with ASU CareerWISE, an online resilience training program designed to help women persist in science and engineering doctoral programs and later attain prominent positions in industry and academia. Read more how ASU’s CareerWISE program is reducing the attrition of female STEM doctoral students.